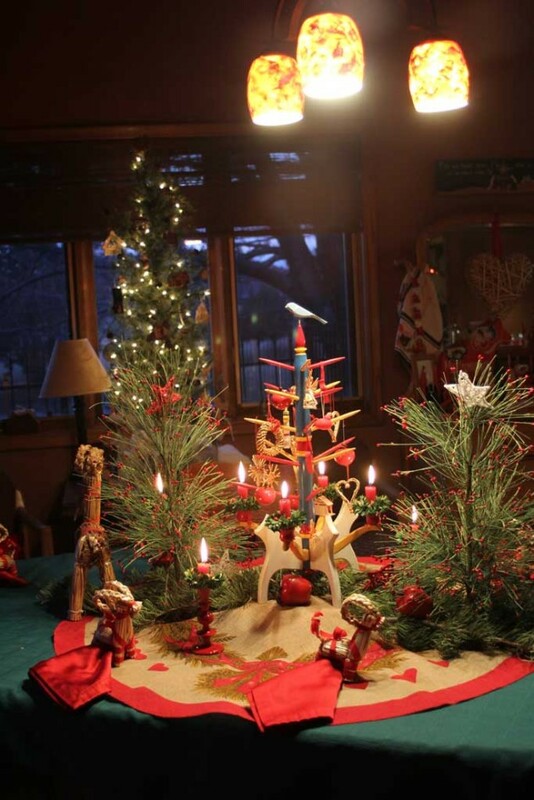 Have you been enjoying the week of posts about mom’s house at Christmas? 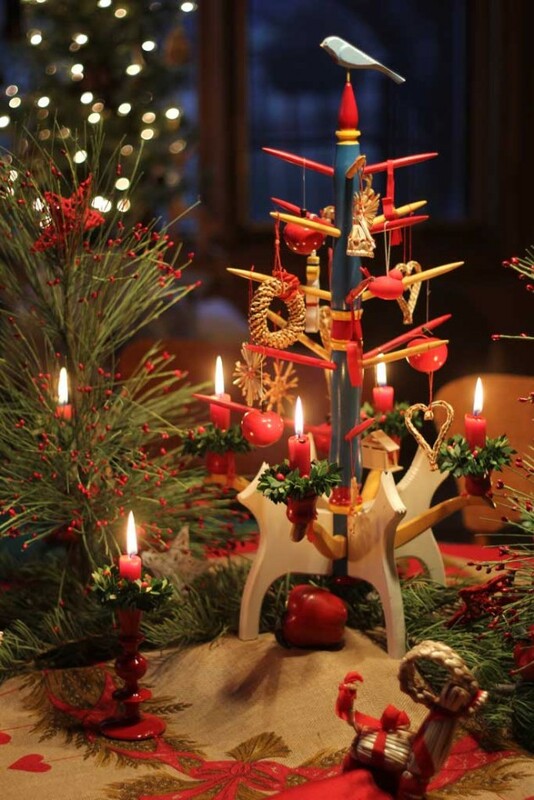 If you are just joining us here’s what you missed: the best of her nativity collection, the most bizarre nativities and her two Christmas trees! 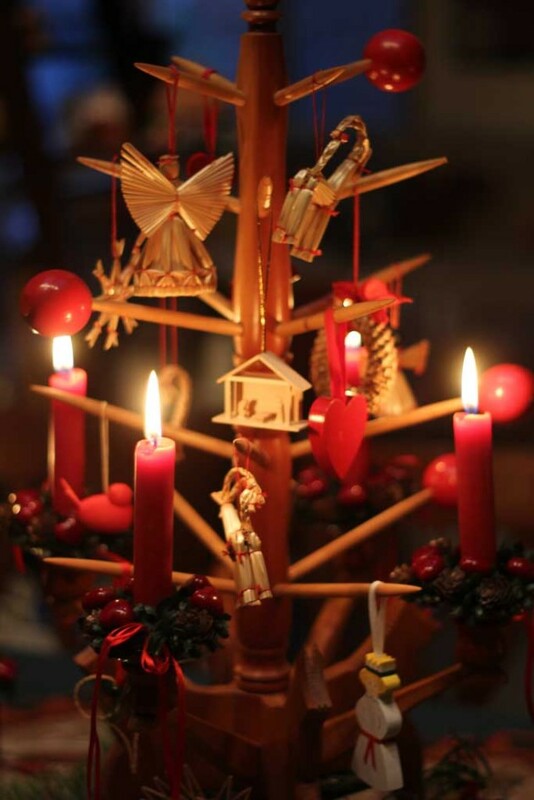 And for the final post of the week I’m showing off her Swedish Christmas decor! I mentioned earlier in the week that she hosts a multitude of people every year at Christmas at three separate Christmas parties all in one weekend. 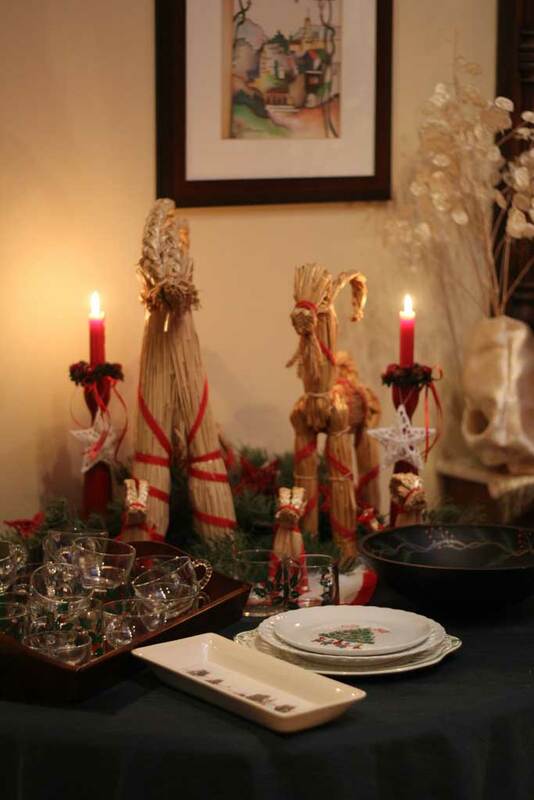 Over the last few years she has picked a theme for her parties and this year it was a Swedish Christmas. I am not mostly Swedish by percent, but as far as the heritage that has been celebrated in my life, the Swedes have been the strongest. My great-grandfather was full blood Swede and my extended family all settled into a small Swedish community in Kansas. So my mom and all her sisters grew up in a very Swedish community full of Larsons, Johnsons, and Isaacsons. 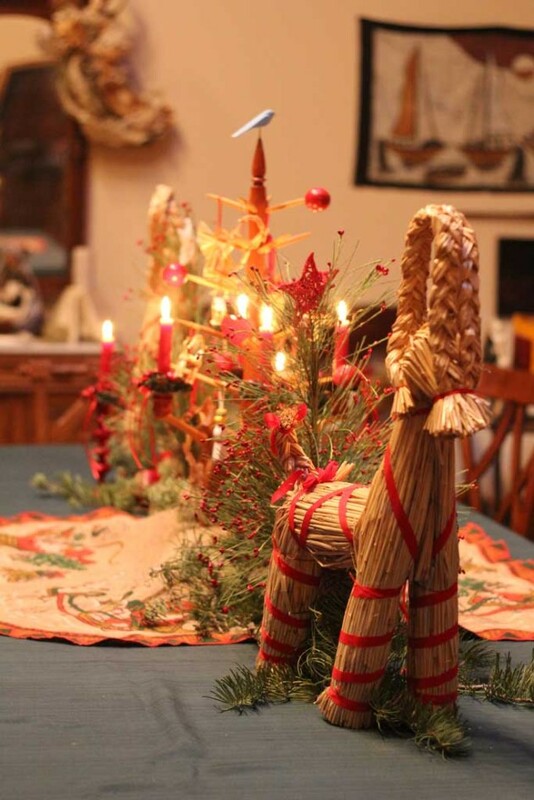 And so the Swedish traditions have stuck around a bit, we have tea ring (a breakfast roll) at many family gatherings and several members of my family decorate with the Dala Horse and straw decorations that permeate traditional Swedish decor. 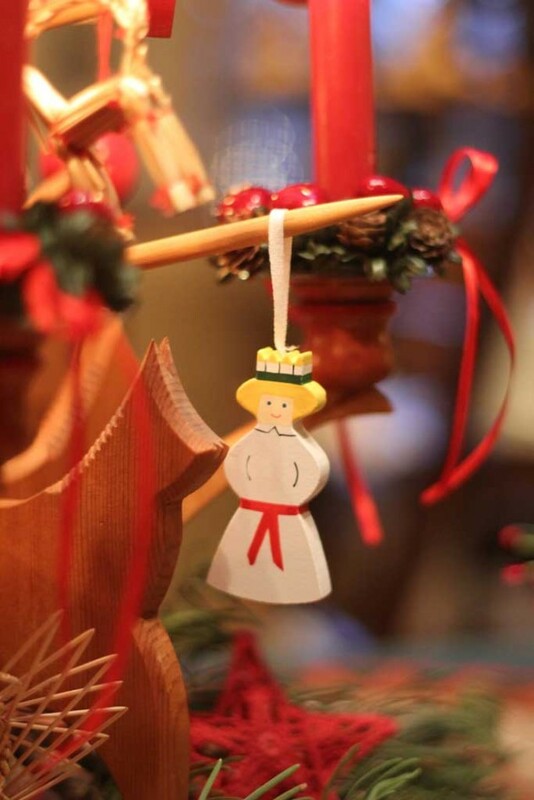 These cute wooden ornaments are very Swedish and I love the little St. Lucia ones. 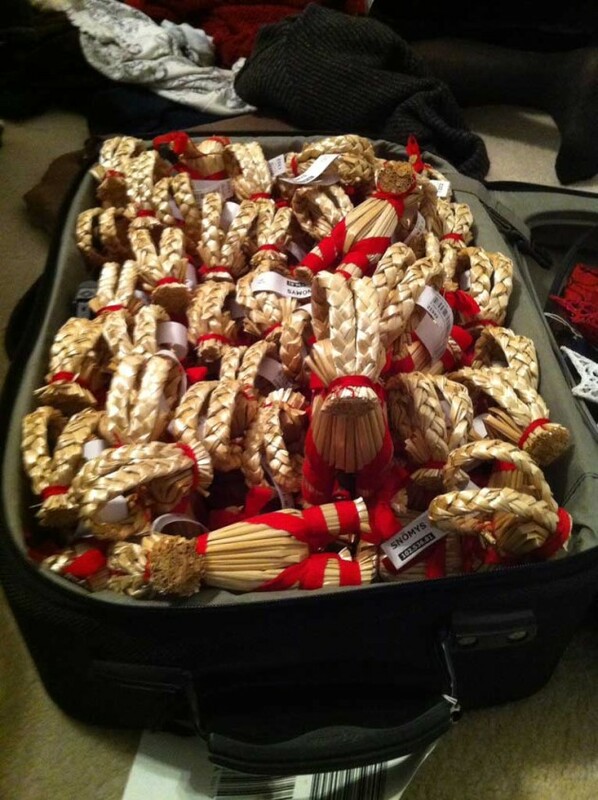 And that’s how you decorate for A Swedish Christmas! Mom served Swedish Meatballs, Tea Ring, dill potatoes, Potatis Skorv (a type of potato sausage dish) and ostakaka with She also served a non alcoholic glogg to drink. 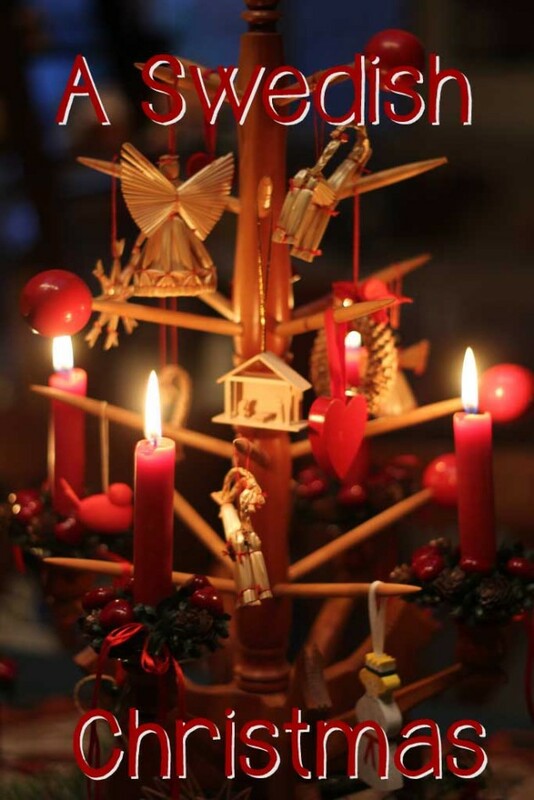 I love the Swedish Christmas tradition of St. Lucia and as a kid always wanted to walk around with candles on my head, but unfortunately my parents thought maybe that was a disaster waiting to happen. What a beautiful tablescape! Your Mom is an amazing woman. Hi! I have been looking for a tree similar to yours pictured above. I used to know someone in central Kansas who had one that as I remember also had tiered trays. Do you know who made your version or where it came from? Thank you! 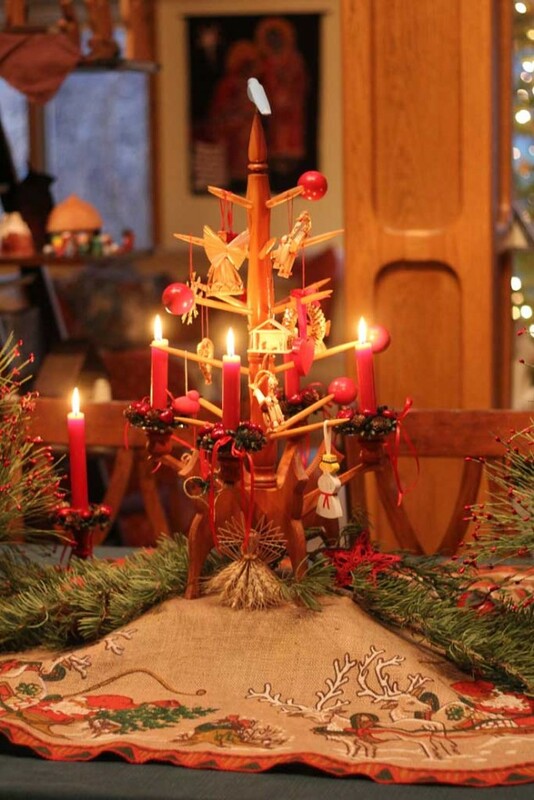 Christine, I am not sure who made this version or where it came from, its been around for many years, but there are a few Swedish boutiques in Lindsborg, KS that may sell them or have an idea of who would. One is Anderson Butik and one is Hemslojd.